H&M reveal first 'Kenzo x H&M' images. H&M have revealed the first images from their new campaign for the upcoming 'Kenzo x H&M' collection - as photographed by Jean-Paul Goude - which features Chance The Rapper, Iman, and rapper Suboi. "The campaign stars, seven globally celebrated personalities from fashion, music, arts and activism, with Chance, Iman and Suboi as the first campaign ambassadors revealing pieces from the KENZO x H&M collaboration. 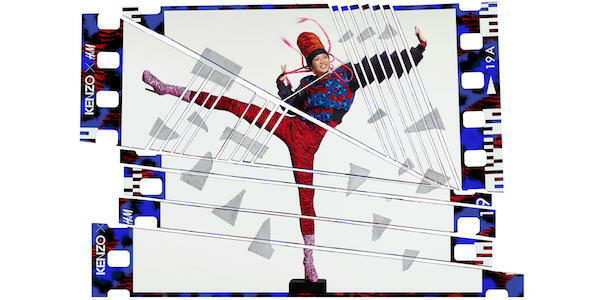 For the campaign, Goude has used his signature hand-made cut-up style, slicing and reassembling the prints to express the exuberance and character of the collection." The 'Kenzo x H&M’ collection will be available worldwide in-store from November 3rd, 2016. MusicChance The Rapper - 'Same Drugs' music video. MusicWatch: Chance The Rapper x 'Sesame Street'.